Many of the best independent record labels mirror the aesthetic of the folks who founded them—if you're going into business because you love music, that's natural enough. It's certainly true of Tompkins Square Records, run by Josh Rosenthal—a devoted record collector, he got started in the music biz in 1989 and launched his own label in 2005. Though Tompkins Square is probably known best for its diverse catalog of fingerstyle guitar music—including the first album by Nashville syncretist William Tyler and a slew of records by British experimentalist James Blackshaw—its total output is incredibly broad. It's put out adventurous jazz by pianist Ran Blake and the late guitarist Bern Nix, archival material from Tim Buckley and Cajun legend Amede Ardoin, vintage gospel, and much more. There's never any doubt that all of it is close to Rosenthal's heart. 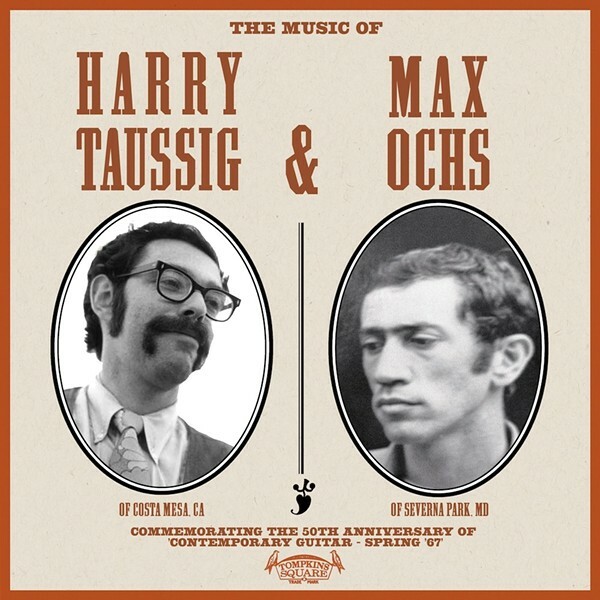 But some records get closer still, such as Tompkins Square's brand-new split release by guitarists Max Ochs and Harry Taussig. Rosenthal first heard these two masters on a 1967 compilation released by John Fahey's Takoma imprint called Contemporary Guitar—Spring '67. The collection also featured material by Fahey, fellow fingerstyle explorer Robbie Basho, and the great Mississippi bluesman Bukka White. Rosenthal's obsession with the record led him to track down Ochs and Taussig, and eventually he took both of these overlooked figures back into the studio. The Music of Harry Taussig & Max Ochs features a side of new music by each guitarist, framed as a 50th-anniversary celebration of Contemporary Guitar—Spring '67. The performances stick to ground that will be familiar to adherents of American Primitive guitar music, but the playing is uniformly strong, and for Rosenthal that seems to be what matters most. For today's 12 O'Clock Track you can check out Taussig's "Into the Veil of Tears."